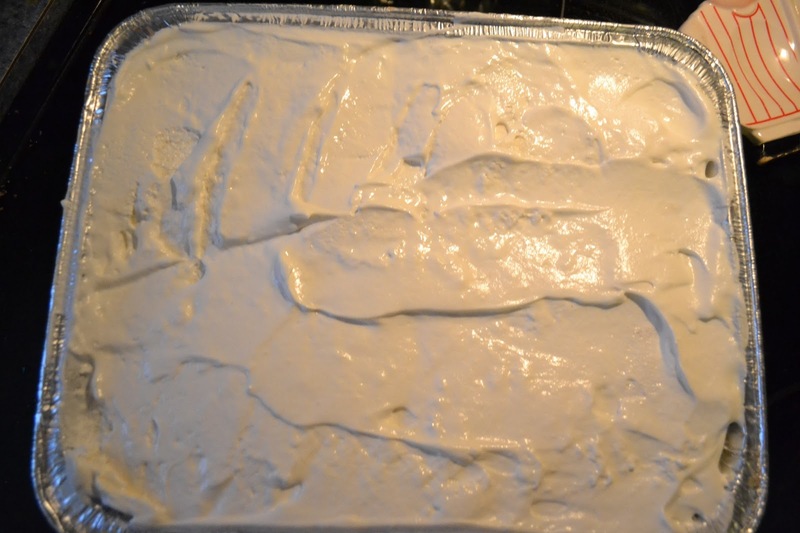 Making an Ice Cream Cake is not difficult at all, and is fun to take "orders" from people for their birthday, when they realize they can customize the flavors and fillings to build their perfect dream cake. In this recipe there is no actually baked cake in one of the layers, although you probably could do that. My inspiration came years ago from this recipe Buster Bar Ice Cream Dessert, which is super yummy in it's own right. BUT after making it I started taking "orders" for birthday cakes from my kids, coworkers, friends and family. It is super fun to see them be tortured by all the possibilities! Since I've made so many now, I have developed only a couple of my own general rules. This is to keep them from being to overwhelmed with options on how to order their flavors and to keep me sane. That being said, Think of this more as a concept than a recipe! So feel free to do anything! It will have an Oreo bottom (no one has ever asked for a substitute graham cracker bottom). any kind of "filling" in between including : chopped up candy bars, chopped up brownies, crumbled Oreos, Cookie dough crumbles (the safe to eat kind) caramel, nuts, etc. topped with hot fudge and whipped cream. 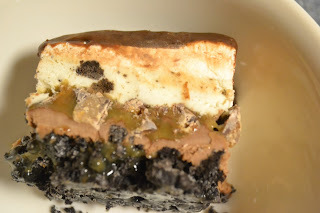 Chocolate and Cookies and Cream Ice Cream Flavors w/ snicker bar and Reese's cup crumbles and caramel filling topped with fudge and whipped cream! Jan's tip: Start out with a VERY deep 9 x 13 pan! I go buy the foil lasagna pans that are deeper than the normal cake pans. You're gonna need it, trust me! (Buy the ones that have the elevated plastic lids with the pans). 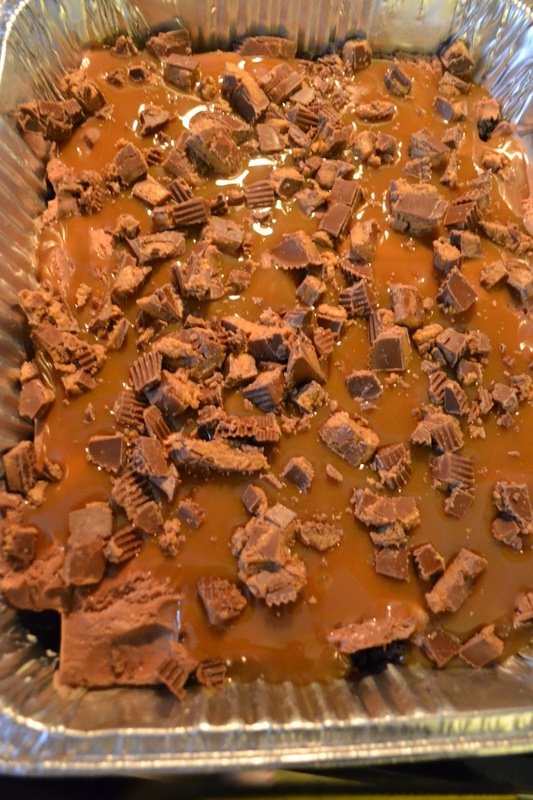 fun fillings: of your choice: candybars, brownies, caramel, etc. Optional: whipped cream . 2 (8 oz. ) containers thawed. 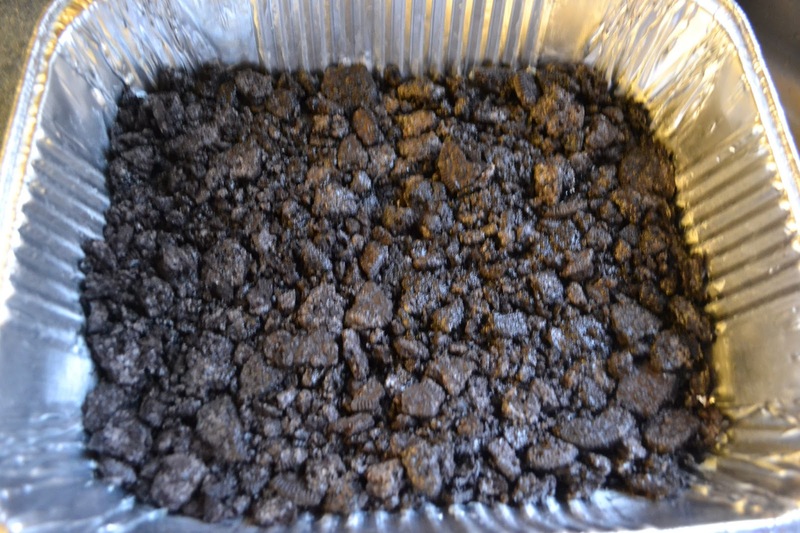 Crumble cookies in food processor or by placing cookies in plastic bag and using a rolling pin to crush cookies. Mix in melted butter or margarine. Press cookie/butter mixture into bottom of pan and place pan in freezer 1/2 hour -1 hour. as you can see, I left my cookies fairly chunky. Choose your bottom flavor of ice cream and slice into 1/2 - 3/4 inch slices and place on top of cookie crust. Return pan to freezer for a few minutes while you chop and prepare your filling. Chop and prepare your fun filling choices. Sprinkle/pour any filing choices on top of first ice cream layer. Return pan to freezer while you slice your second ice cream flavor. Slice second flavor of ice cream into 1/2 -3/4 inch slices. 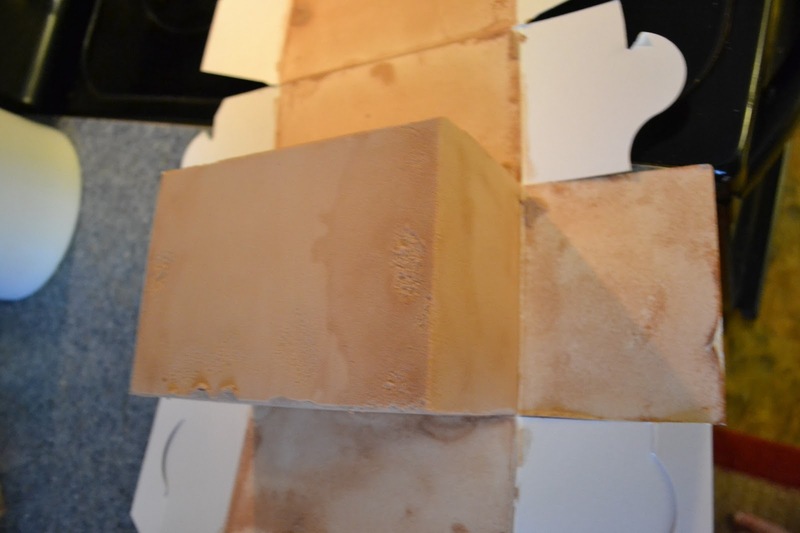 Press slices of ice cream on top of filling layer. From here you can top it with just fudge or fudge and whipped cream. You can choose the fudge on top or the whipped cream on top. I chose the fudge on top this time, but have done it the other way too! 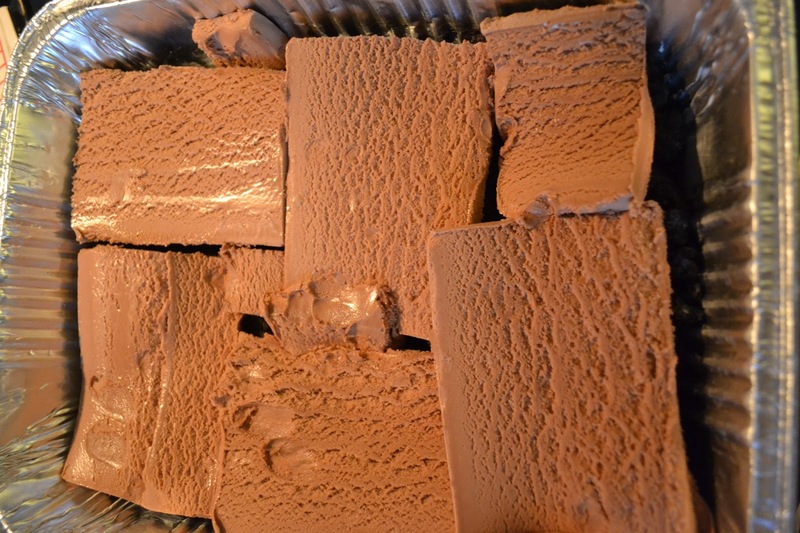 Pour fudge on top of ice cream. Place pan in freezer 1/2 -1 hour till set. 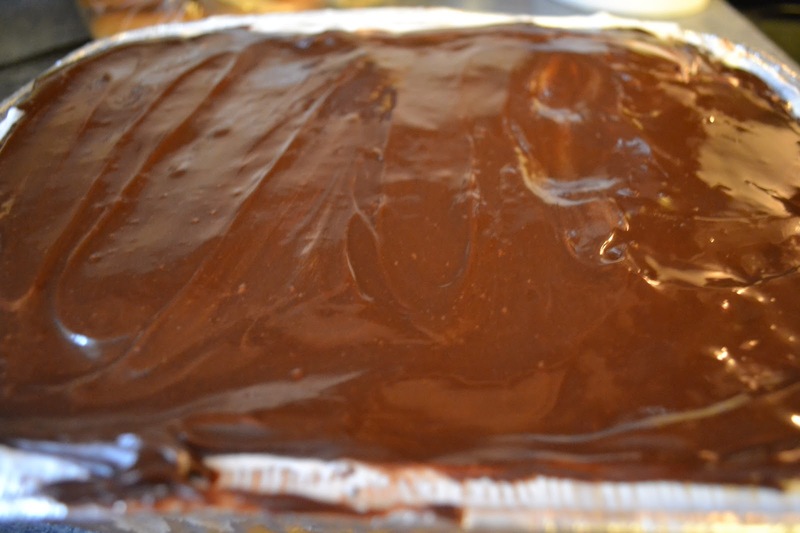 If topping with whipped cream, spread thawed whip cream on top of fudge layer. 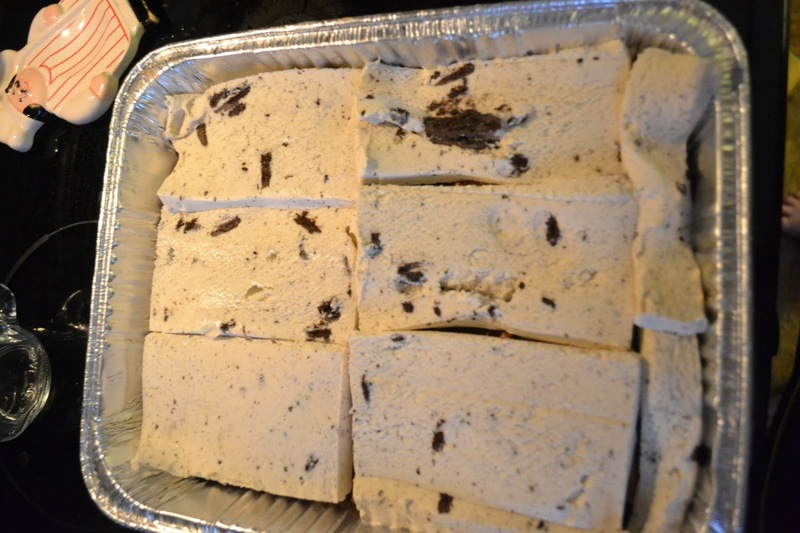 Pull ice cream cake out of freezer about 10 minutes before you need to cut it. Serve immediately. What would be your dream flavors? Tell me your "order"!